Start your own business with financial backing and support from a globally trusted and locally embraced brand that leads its industry in customer satisfaction. 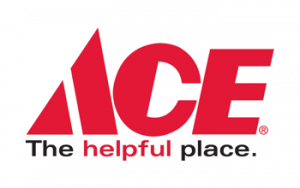 Ace Hardware, America’s neighborhood hardware retailer for over 90 years, is a recognized leader in the booming $279 billion home improvement industry and offers a tremendous opportunity for those looking to build a profitable and lasting business. We offer a FREE opening stock order for new stores. Independent ownership is backed by dedicated training and support. Flexible product mix that can be customized to your local market. Rock solid foundation and fad-proof future. #1 brand in convenience hardware. Ace is globally recognized and locally embraced. Incentive amount varies by store size/format and is based on Discovery recommended product (excluding fasteners). Incentive given as a credit, not as cash or a loan. The Ace ownership opportunity is unlike any other business opportunity. Ace Hardware is a retailer owned cooperative, meaning Ace retailers are the owners of the corporation. In addition to being part owner of a world-class corporation, you pay no royalty fees and a portion of the profits get distributed back to the retail owners each year. By joining Ace, you reap the benefits of collective buying power and having a global brand along with independent ownership. You will also have the flexibility to customize your offerings based on your customers’ needs. Please contact us today by requesting more information below.